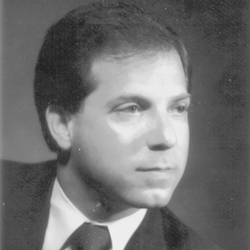 A successful mediator for the past 10 years, Gordon Wallack specializes in real property disputes of all kinds. He enjoys an excellent reputation in the Southern California real estate industry and has resolved thousands of cases involving millions of dollars. He is known as a fair and impartial fact-finder who can cut to the chase and find an expedient solution. Awarded highest honor of an "AV" rating by Martindale-Hubbell Law Directory. "A" is defined as very high to preeminent legal ability; "V" is defined as very high to preeminent general referral. Real Property, Errors and Omissions, Brokerage Defense, Fiduciary Duty, Construction Litigation, Products and Professional Liability, Business Litigation, Discovery, Contracts. Mr. Wallack is a veteran trial lawyer of more than 20 years and serves as a temporary judge in the Superior and Municipal Courts for Los Angeles, Culver City, Van Nuys and Santa Monica. Mr. Wallack's expertise as a licensed real estate broker offers a great advantage to his clients and allows him to handle virtually any type of case, from the simplest to the most complex. He is creator and author of the Residential Real Estate Transaction Guide and So You've Been Sued, Now What, published by the Risk Management Institute of the California Association of REALTORS©, Inc.
Mr. Wallack is available throughout Southern California and will travel upon request.